Since oatmeal was on my mind this week due to its feature as a Test Kitchen ingredient and a suggestion came from Fia on the Facebook fan page about doing cookies, I could not hold back from baking something. It's been a while actually since I last made a dessert. I guess that's a sign that I need more people to dump sweets onto (I hardly eat the creations myself). 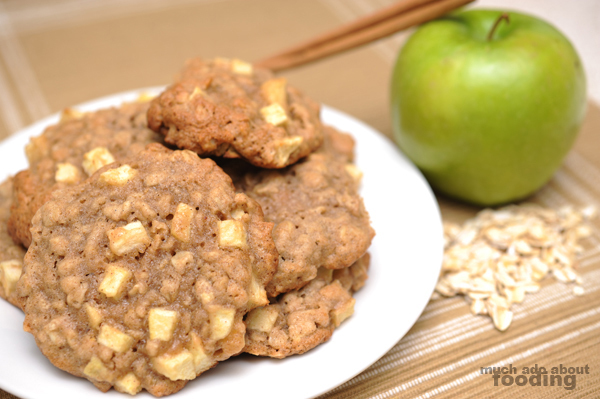 I got a bit heavy-handed on the apple pieces so my first batch came out a little mushier than hoped BUT I've adjusted the recipe appropriately below. It was adapted from this one here. 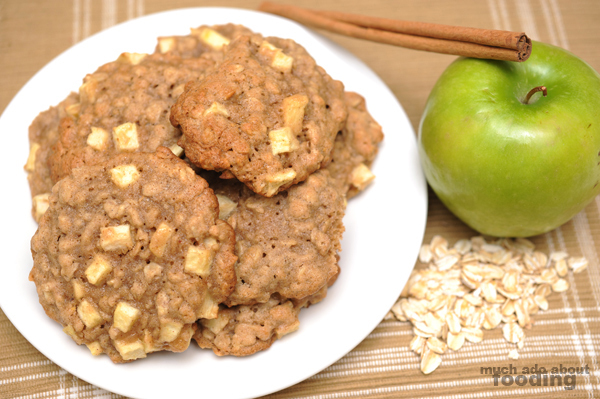 I went the route of baking oatmeal cookies with apple and cinnamon because I'm just so tired of seeing oatmeal raisin cookies everywhere! Also, I had some Granny Smiths to get rid of so why not? 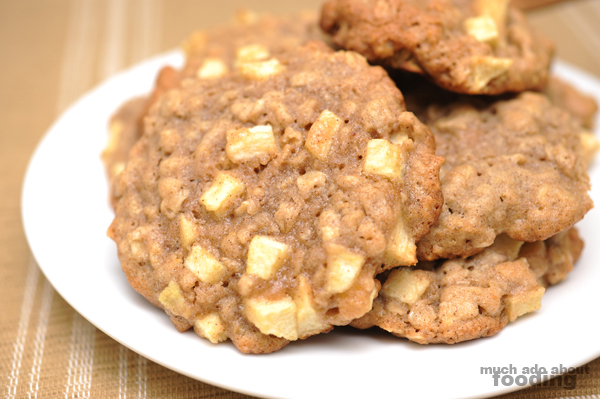 They gave a pleasant tartness alongside the cookie's general sweetness. I dare say that I even think the pictures came out well for someone doing both the shooting and baking. What thinks you of these? In a small bowl, add lemon juice. Peel your Granny Smith apple & core. Make small dices (about 1/4") and toss in lemon juice. This will help slow oxidization of the fruit after it's been cut so no brownness! 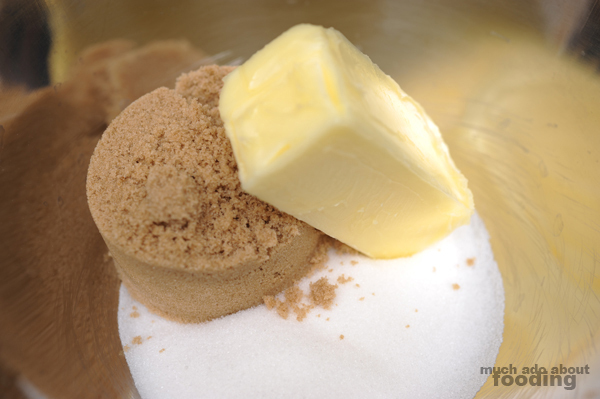 In a large mixing bowl, add together butter and sugars. Preheat oven to 350°F and line two baking sheets with parchment paper. 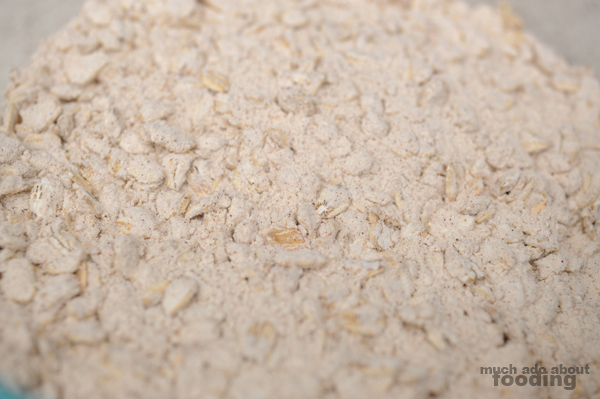 In a large bowl, mix together flour, oats, baking powder, baking soda, salt, cinnamon, and nutmeg. In mixing bowl, cream butter and sugars together before adding in egg and vanilla. Mix thoroughly. 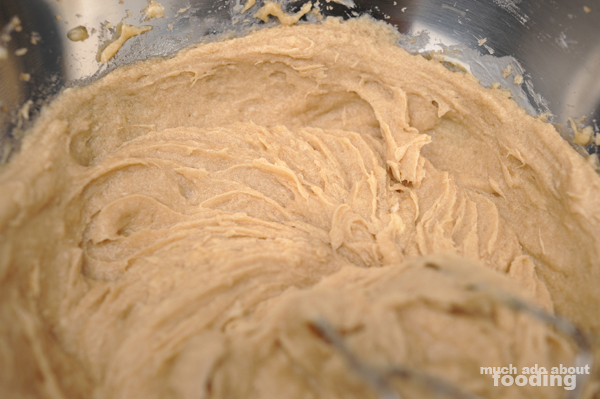 Add dry ingredients to wet mixture slowly, continuing to mix to incorporate well. 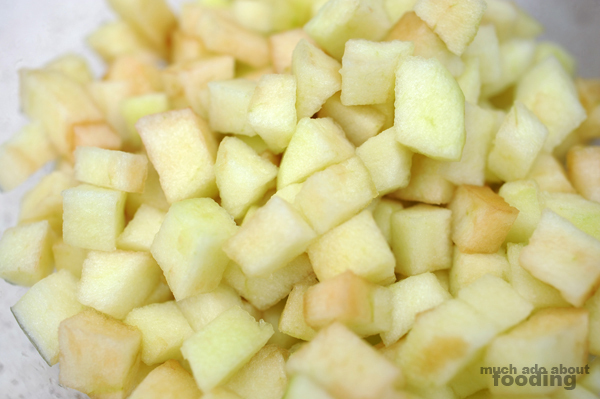 Fold in apple pieces last. 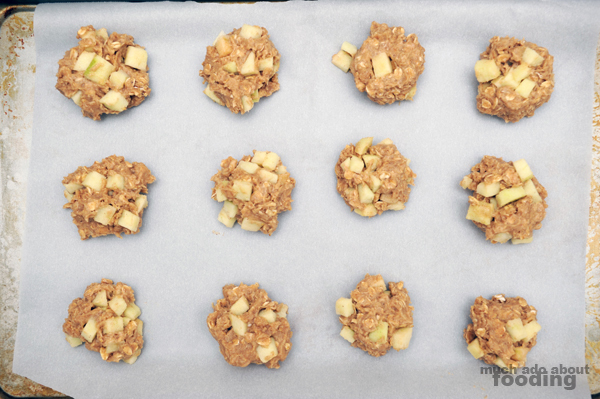 Form into approximately 2" cookie dough balls. 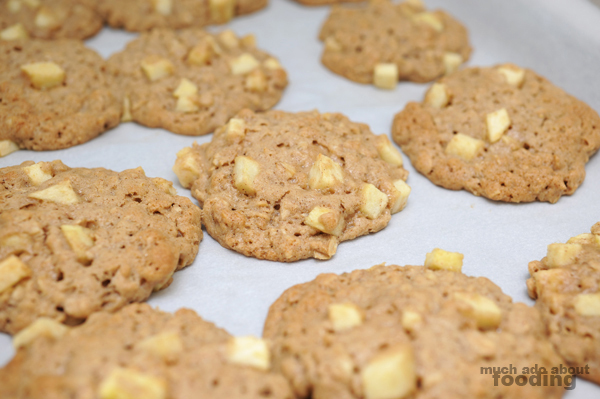 Place on baking sheets a few inches apart and bake for 13-15 minutes or until they turn a golden brown. Remove and cool before eating!